– Reimotec is a premier league player in green sports worldwide. – 800 millions for a soccer field. Lampertheim/Troisdorf, August 13, 2015 | Is there anyone who actually has counted the grass blades on a soccer field? Indeed, somebody has, although not through a magnifying glass, but using high-tech. Detlef Kolb, Managing Director Sales at Reimotec Maschinenbau GmbH, Lampertheim, can indicate the number of “grass blades” of each artifical grass pitch used during the Women’s World Cup in Canada mathematically precisely with just 800 million. He is able to do so because his company developed the machinery and production technology for the artificial turf now also used in the Canadian stadiums during the FIFA Women’s World Cup. Although Detlef Kolb is a soccer fan, his special interest is in the basics of this sport and other kinds of sports which, in the truest sense of the word,are at the feet of the sportspersons. Due to the fact, that also in Canada it was not possible to lay natural grass in the roof-covered hall stadiums, artificial turf used there during the World Cup proved to be a particularly suitable alternative. Indeed, the feeling of playing on artificial turf may be different, especially for players who are used to “real“ grass, but the climate and weather in many countries do not allow to set up and maintain natural grass fields. Besides, the life expectancy of artificial turf, even when exposed to high stresses – is at least 7 to 15 years and thus about three times higher than that of natural lawn. In addition, it does not require any regeneration phases. By now, artificial turf fields are increasingly used for many sports also in Germany and Europe. For sure, some minor changes are needed, but it goes without saying that there would be no sports without artificial turf in many countries. The advantages are enormous. Behind them is a technological development in which Reimotec, member of the Reifenhäuser Group, plays an important role. 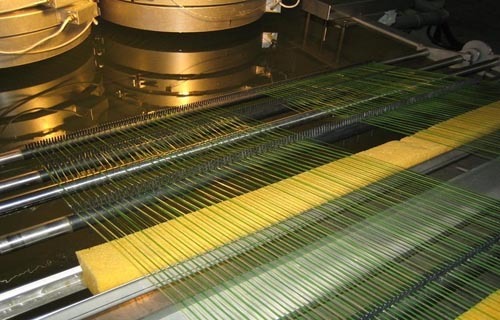 The machines on which two US American companies produced the artificial turf for the Canadian stadiums were supplied by the filament expert from Lampertheim, Germany. The company is well positioned for the future with its monofilament lines, strapping tape lines, and outstanding winder technology. Beside the American producers of artifical turf who rely on Reimotec’s highly sophisticated technology, many other producers of artificial turf used for applications far beyond competitive sports value the benefits of Reimotec machines. The Reifenhäuser Group is proud to have among its members a recognized, successful company like Reimotec with qualities of a champion.